You would think riding the bus was cheaper than driving?! Not so for our folks with limited income. Each one of our ladies depend on public transportation to get to appointments, Healing Action, the grocery store, etc. 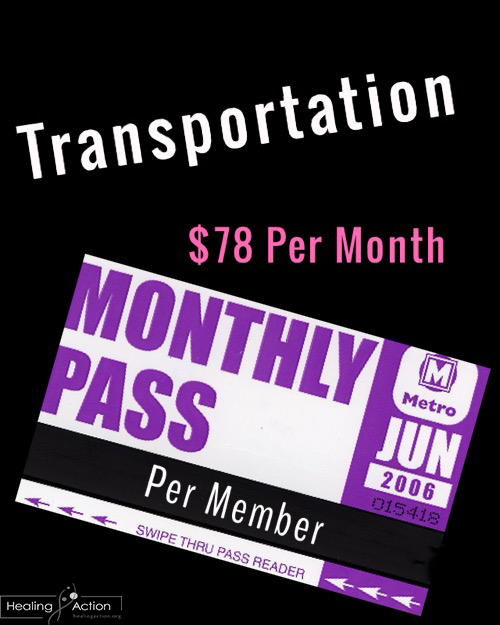 Bus Passes are just one item we can provide to make life a little bit easier on the women as they work towards healing.